Lutheran Foundation of the Southwest supports seven original sponsoring Lutheran agencies: Texas Lutheran University, Lutheran Sunset Ministries, Cross Trails Ministry, Upbring, The Southwestern Texas Synod, Northern Texas-Northern Louisiana Synod and Texas-Louisiana Gulf Coast Synod, as well as the congregations and ministries of these synods. The ELCA Foundation is also part of our sponsoring organizations and allows us the opportunity to give to all ELCA ministries. When working with The Foundation on your legacy plan, a majority of your gift has to be bestowed to one or more of our eight sponsoring organizations listed below. The ELCA Foundation exists to sustain and grow ministries of the Evangelical Lutheran Church in America. Through our national network of more than 20 gift planners, the ELCA Foundation supports members of the ELCA in their call to live as faithful and generous stewards. The Foundation also supports and strengthens the ministry of congregations, synods, agencies and institutions through education, gift planning resources and investment management services. Providing investment management services for congregational and institutional endowments. Mission: Providing unique settings and experiences in which youth, adults and families are strengthened in their relationships with Christ, each other, the church and community. 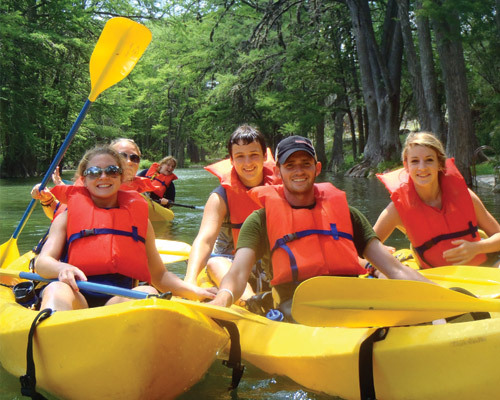 Cross Trails Ministry is a year-round camp and retreat ministry owned by the congregations of the Southwestern Texas Synod of the ELCA. 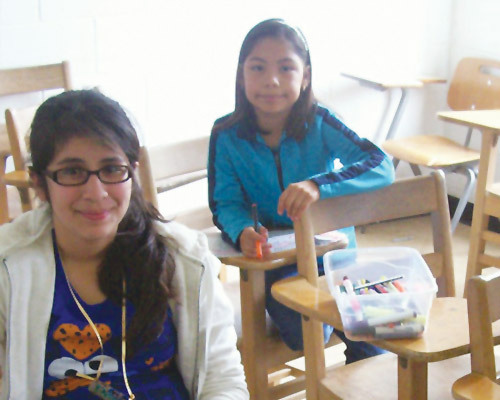 Two sites are at the heart of this ministry: Lutheran Camp Chrysalis in Kerrville and Ebert Ranch Camp in Harper. Off-site events and opportunities are also offered throughout the year. Kayakers at Cross Trails Ministry camp. 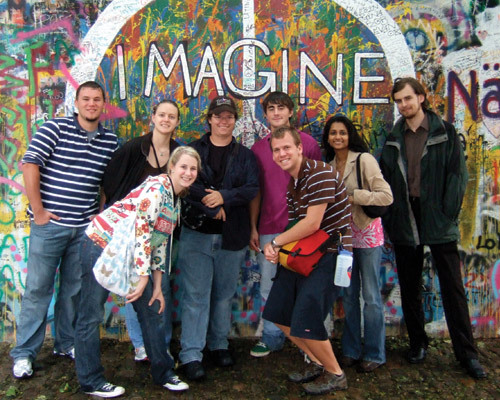 Mission: Texas Lutheran University is a community of learning and a community of faith. As a community of learning, the university stresses the liberating potential of the disciplined pursuit of academic excellence within the context of academic freedom. Its faculty and staff seek to engage each student in a process of self-education which will assist him or her in developing as an informed and resourceful person ready to serve a diversified world. As a community of faith, the university celebrates the liberating power of the gospel as applied to the whole of human life. It is the unique privilege and responsibility of the Christian university to explore these implications freely and boldly. Thus it leads the church to face the challenge of new insights and to formulate fresh means of creative service. As an institution of the church, the university provides an education in the arts and sciences which is given perspective by the Christian faith. This function is carried out through an undergraduate curriculum leading to the bachelor’s degree, a diverse continuing education program and a variety of co-curricular programs. The university encourages students to participate in service work tied to reflective discussions about its place in their lives. In working to bring learning and faith into intimate relationship, Texas Lutheran University is discovering afresh that each can strengthen, clarify and enrich the other. Men and women who live and work in these contexts find their own purposes enlarged and deepened. A compassion born of faith and a competence informed by learning shape the mission of the university in this day. Study abroad students from TLU. Upbring has a long history of serving the most vulnerable members of society. The agency’s roots go back to 1881, when a compassionate group of Lutherans founded the first Lutheran social ministry in Louisiana to care for children orphaned by the typhoid plague. In 1926, like-minded Lutherans established an asylum for widows and orphans in Round Rock, Texas. 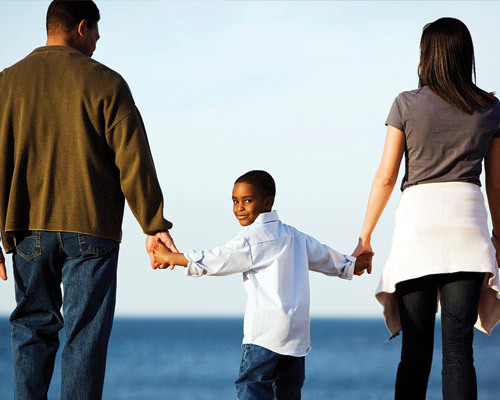 In January 1993, the two agencies merged to become Lutheran Social Services of the South, Inc.
As they begin writing the next chapter in their agency’s 135-year-old history, Upbring is stepping forward with renewed focus and vigor on reducing recidivism in child abuse and improving long-term outcomes for children. Their approach is lion-hearted, evidence-minded and faith inspired in their pursuit to break the cycle of child abuse and equipping others to do the same through their example. It’s not just about raising children in a safer environment. It’s about raising expectations for what a childhood should be and shaping the way Texas treats children. A new focus is on reducing child abuse. Mission: Providing person-centered services based on Christian values. 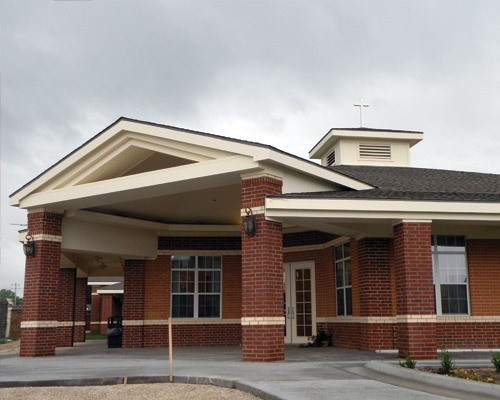 Since 1954, Lutheran Sunset Ministries has provided services and care to the aged, and to those who need assistance. Sunset enjoys a reputation as a leader in providing quality programs focusing on individual needs. The campus is located on 21 acres, overlooking the Bosque River Valley, in the city of Clifton, Texas. We envision ourselves to be one of the most mission-oriented, dynamic, innovative and fast-growing mission areas in the Evangelical Lutheran Church in America. We are Disciples passionate about the Gospel and dedicated to Claiming the Great Mission Commission. Our best energies and resources are focused on missional ministry that makes disciples of Jesus and transforms lives through the life-giving power of the Gospel. We will pursue this vision through training and education, growth and transformation, and peace and justice in our congregations, communities and world. The geographical area includes Northern Louisiana including Monroe and Shreveport; Northern Texas generally north of a line from Marshall, Longview, Tyler, Rosebud, Bartlett (Temple area), Killeen, San Angelo, Midland/Odessa; and also Durant, Oklahoma and Clovis, New Mexico. There are over 35,000 members in the 115 congregations in our mission area, with over 175 ordained ministers and nine Associates in Ministry. Mission: God’s people–growing in faith, outwardly focused, doing mission! 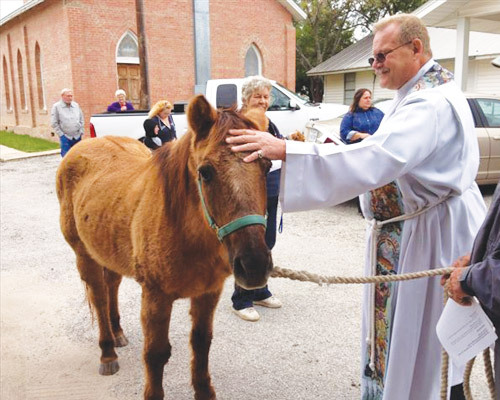 The Southwestern Texas Synod is part of Region 4 of the Evangelical Lutheran Church in America. 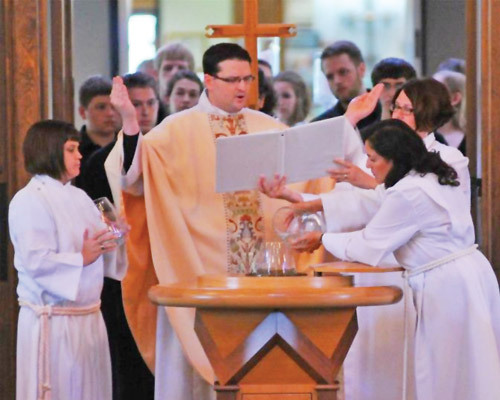 Our Synod is comprised of 145 Congregations, mission and synodically authorized worshiping communities centered around our mission of being, God’s People–Growing in Faith, Outwardly Focused, Doing Mission. This focus organizes us into three Ministry teams that challenge us to grow in Mission, provide for rostered and lay Leadership Development, and build on a particular Asset of member in the synod. While congregations are a primary focus, we also work together with our ministry partners like Lutheran Social Services of the South, Cross Trails Camping, College and University campus ministries, ELCA seminaries, Texas Lutheran University and many more. One of the many ceremonies where SWTS gets out into the community. Mission: A network of growing, Christ-centered, outwardly-focused congregations passing the faith to the next generation. 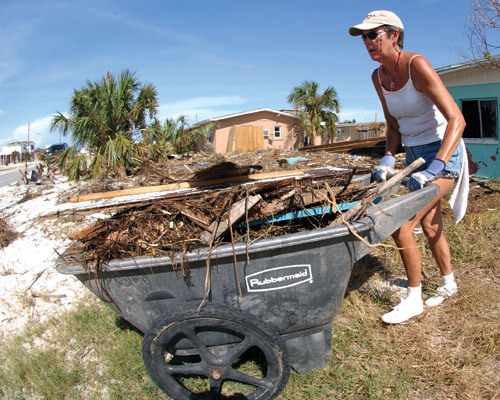 The Texas-Louisiana Gulf Coast Synod, Evangelical Lutheran Church in America, is a network of 119 Lutheran congregations working together to plant churches, support churches around the world, prepare pastors, help congregations find pastors, support congregations in crisis, encourage evangelism, generosity and ministry among people of all ages. Each congregation is a mission outpost called to a unique setting and gifted in particular ways to carry out their mission. We represent many predecessor expressions of Lutheran tradition and weave together our various pasts for the hope of a stronger mission in partnership with one another. The Lutheran witness is undergoing transformation as we enter into a new time in the history of the Christian movement. The post-post modern world where we are called to bear witness is calling us to clarify our vision, mission, values and strategies in new ways to reach a pluralistic world. The opportunity for us collectively and for congregations individually to examine why they exist and to claim their mission for the future is exciting and urgent. We encourage you to join us as we wonder and explore and discover the exciting, mission-centered ministry God is calling us to do in the Texas-Louisiana Gulf Coast Synod.